The Sneakybeam is a perfect accessory to your night vision equipment. 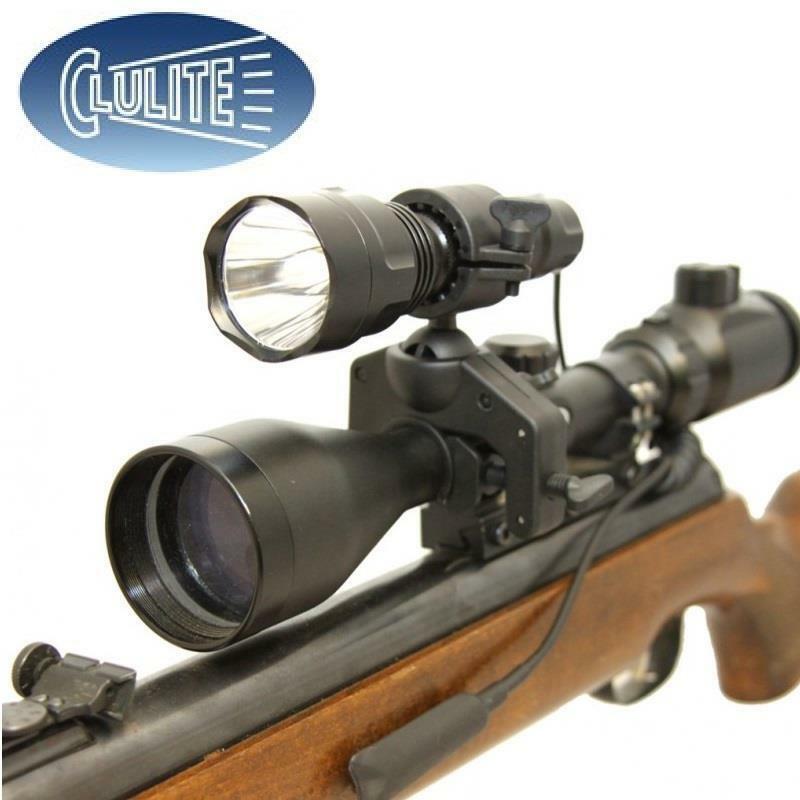 Increase your shooting range, this will give a comfortable 250m shooting distance and illuminate further than most other popular brands on the market. This has a high and low beam facility giving 2-3 hours on high and approximately 8-10 hours on low. The Gun Light comes supplied complete with rechargeable Li-ion battery, charger, Clulite's unique gun mounting system and remote pressure switch. The heads are easily interchangeable in a matter of seconds.